If you haven’t guessed by now, I love Halloween! I love the autumn days, with the fall colors of orange, yellow, and rust, and the cooler temperatures. All that puts me in a good mood. In the past few years I’ve taken part in some October blog challenges, such as October Poetry Writing Month ‘Octpowrimo”, and the ’31 Days of Halloween’, but wasn’t wanting to formally sign up to do one, and the other isn’t being held this year. Looking back over my past posts, I’ve got a lot of fun poems about Halloween, and for real, hardly anyone came by to read them, as I didn’t have many readers back then. So, I’m going to re- post them now. They will be sort of new to me again, too, as I haven’t gone back to look at them in a very long time. 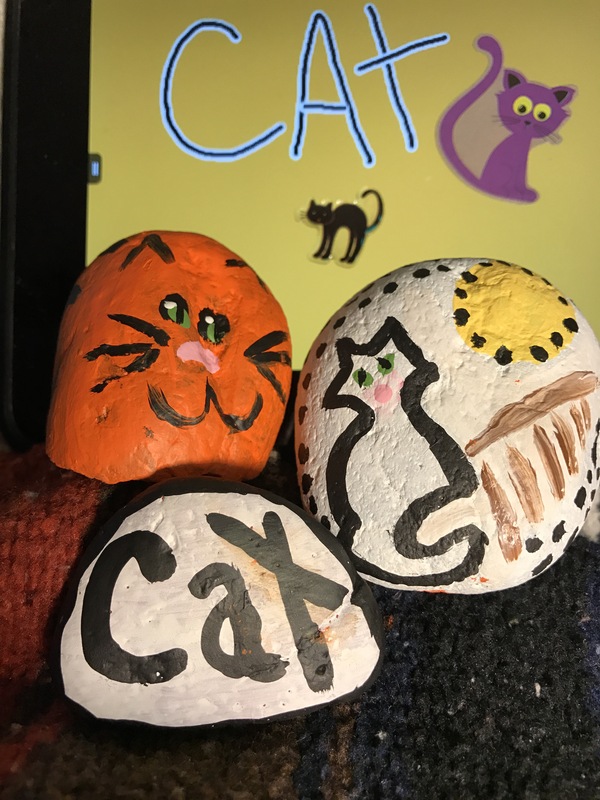 Also, I’ll show off my painted rocks again (I know some of you saw these last year). Where do the goblins go? They’re everywhere, don’t you know. Halloween is a favorite of mine. I began to put up decorations over the weekend. Lovely post. Thank you. All my best to you. Yay Hallowe’en!!! My favourite should-be-a-holiday-man of the year!! !